A tremendous amount of cognitive development takes place during a child’s early years. For this reason, it is essential for children to be provided and sustained with activities that are both educational and playful in nature. These can be interactive and educational games; they should not feel like a burden for the child. It can be any learning activity that will contribute to their growth and development. If you are looking for some learning activities for preschool children, you are in the right place! 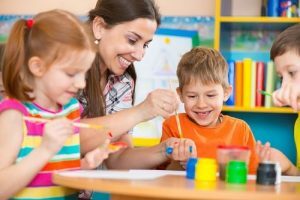 This article will help you find creative activities and educational games that will suit your preschooler. Learning about words and numbers at home is an excellent way to introduce young children to a wider learning environment. What you can do is to buy alphabet and number toys and present them as a gift. These toys can be in any form. They can be puzzles, blocks, magnetic toys, etc. Use these toys to teach them the fundamentals of ABCs and 123’s. Make it fun and interactive by making it a game. You don’t have to wait until your child is in school before they learn how to read. Try some phonics activities with your little one that will make learning phonics a fun and educational activity instead of a boring lesson. Rather than repeating letter sounds, make the exercise more exciting by playing games like letter hunting. By learning the basics of phonics, you are preparing your child for spelling and reading. Writing is an important skill children need to learn at an early stage because they will be using it throughout their lives. However, when teaching your child how to write, it is best to let them get used to holding a pencil by allowing them to trace, make scribbles and get messy. You can also give them a workbook for connecting the dots. Not only will it let them practice their strokes, but they will also find this activity entertaining and fun. As they progress, you can move on to teaching them how to write the alphabet in capital letters and let them practice it every day. Children love colors. And because of their interest in this area, it won’t be hard to teach them how to identify basic colors at a young age. Give them some coloring activities. Provide them with coloring books, crayons, and watercolors. While they get themselves busy with these activities, teach them how to name each and every color. Practice recognizing and naming colors with them until they memorize them one by one. Teaching young kids how to count isn’t difficult. It all starts with letting them recite the numbers 1 to 10 in the correct sequence. You can make this activity fun by turning it into a game. Give them objects to count while they are reciting each numeral. This way, it becomes easier for them to understand how each number corresponds to objects. Preschool-aged children are visual learners. They love looking at colorful pictures and images. So when presenting poems, rhymes and other educational materials, it would be an excellent idea to have them presented using charts and diagrams. Sending your little one to a preschool doesn’t mean that they have to stop playing. Playing games can be both recreational and educational. Choose some games that involve practice in with the alphabet and math. 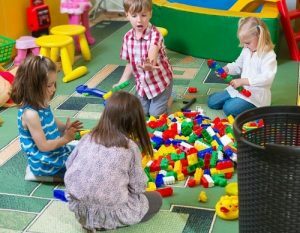 There are plenty of games that are excellent learning activities for preschool children. However, be sure not to force them. Stay encouraging and make sure to compliment them each time they get it right and every time they show progress. These are some of the helpful preschool learning activities you can do with your children at home. Be creative and make learning more fun by trying out some educational games that are on this list. And if your little one is preschool ready, and you’re looking for the best school in Euless, please visit Kids Kampus Preschool.